When a dog owner finds out that they are expecting a new baby, preparation starts immediately. However, preparing the dog is often overlooked. Let Lone Star Dog Training make the transition easier for your whole family, furry members included. A new baby means changes in your life and in the life of your dog. 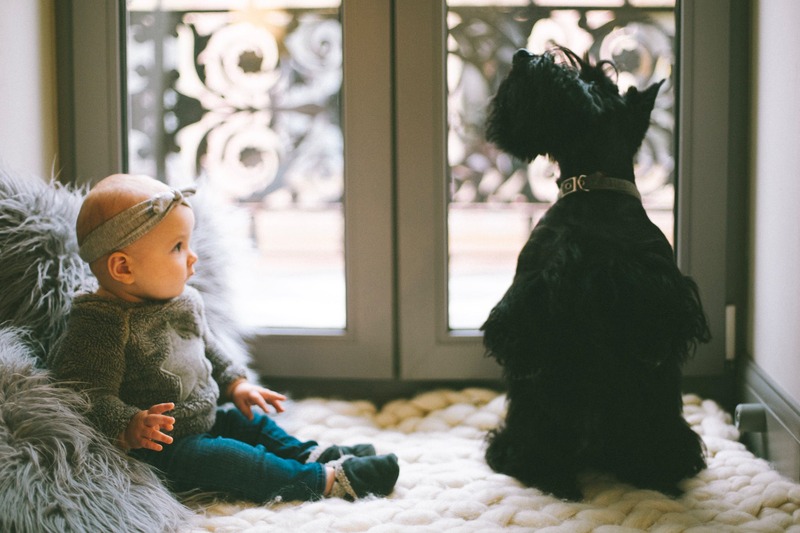 This is why Lone Star Dog Training has developed Cribs & Canines, an in-home program that can prevent and solve common conflicts that come with a new baby. Some owners find that habits they once found acceptable in their pet could pose a problem with a delicate infant around, while others discover new bad habits when they bring baby home. If your dog has some mild hyperactivity (jumping, racing, counter surfing, barking, etc.) or even mild aggression, it can sometimes be overlooked. Jumping certainly isn’t recommended for a pregnant mother or for a dog owner who is holding their tiny new infant in their arms. Excessive barking may wake baby, and racing through the house may knock baby over. If your dog is protective of toys or food, he or she may show aggression toward your new bundle of joy, which is never okay. Using our tried and true training techniques, Lone Star Dog Training can teach you to communicate your needs and boundaries to your pet and teach your pet to give you and your new baby some space. Alternatively, many dog owners have the perfect dog until baby arrives. Whether the reactions are due to dominance or jealousy, aggression or pleas for extra attention may appear. Again, we can teach your dog to give you the space you’ll need. It doesn’t have to be your baby or the dog. You can have both, as long as you’re willing to invest a little time and energy. Whether you have a new baby arriving soon or you’ve just had one and are experiencing some problems, let us help you. Give Lone Star Dog Training a call at 832.802.0717.